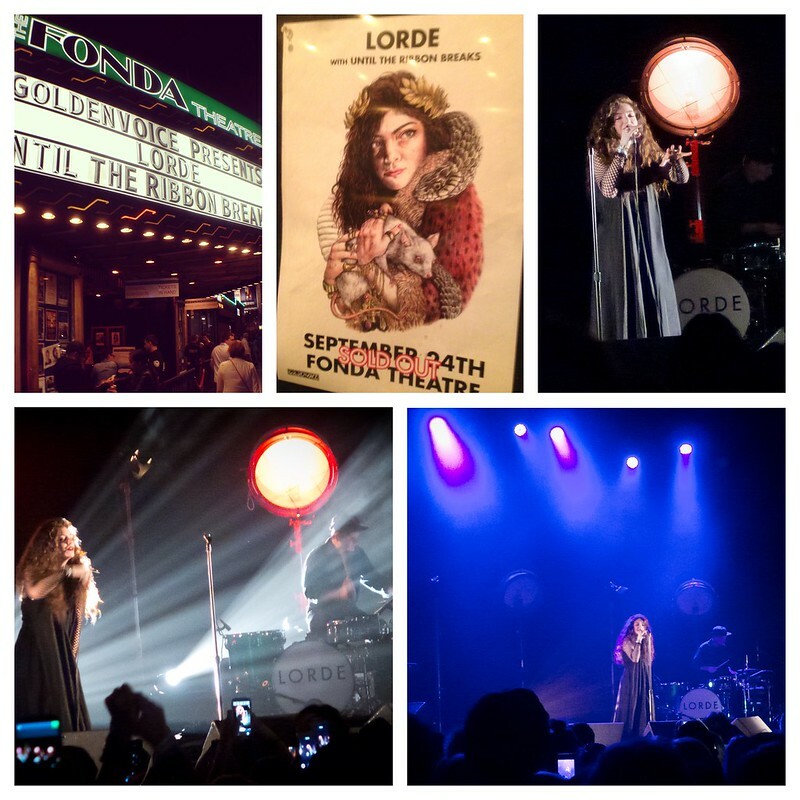 LORDE performs at The Fonda Theater. Lorde (aka: Ella Yelich-O'Connor) is only 16 years old. She hails from New Zealand and has been writing since she was 13 years old, right about the time she signed to her first record label. This past month she's basically the talk of the town in the music industry and has had a slew of shows in New York and Los Angeles, selling out each one in mere minutes and begin heralded by music and fashion sites like Billboard, TEEN Vogue, MTV, Elle and NME. She even graced the cover of Billboard Magazine labelling her the "New Queen of Alternative." Riding high on her hit singles "Royals" and "Tennis Court," she releases her debut album Pure Heroine this Monday, a brooding, dark and minimalistic record that showcases her writing talent and smooth yet enchanting vocals. She proves less is more, simplifying her melodies with deep percussions layered with longing and free-floating harmonies. Check out one of my favorites "400 Lux" from her new album below.